Judy Asks: Is Italy the Achilles Heel of Europe? A selection of experts answer a new question from Judy Dempsey on the foreign and security policy challenges shaping Europe’s role in the world. 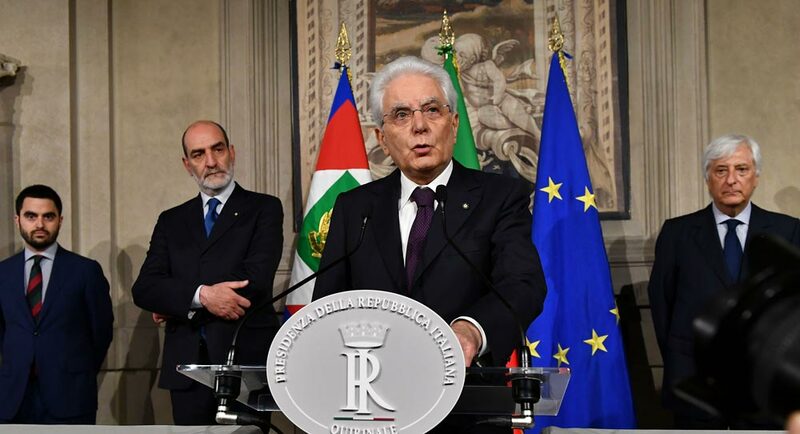 Germany finally has a government but Italy could scupper major reforms of the European Union. More administrative and judicial reforms, but also an easing of austerity measures, are needed if Greece is to return to creditworthiness. In leaving the German finance ministry, Europe’s most influential politician leaves a big gap in the intellectual direction of the EU. Together with France, Germany’s next finance minister must push to further integrate the eurozone. Judy Asks: Is Italy Europe’s Achilles’ Heel? How Long Will the Greek Crisis Last? If Greece is to recover from its eight-year-long debt crisis, the country will need massive investment and a systematic effort to rebuild institutions and retrain labor. To increase its power in Europe and lessen German dominance, France needs to change itself and build a real European political union to underpin the euro. A combination of serious economic policy blunders by Athens and selfish policies by Greece’s eurozone partners have led to an impasse. It is time for sense to prevail. There is nothing particularly existential about the refugee crisis. The real threat to the EU remains the unreformed eurozone. An agreement on debt relief for Greece would be a step in the right direction. But it should be combined with measures to alleviate the country’s fiscal constraints. Judy Asks: Can Debt Relief Save the Euro? Judy Asks: Will the Eurozone Crisis Come Back? The leader of Greece’s left-wing Syriza party has become the country’s only serious political player. But how powerful is Alexis Tsipras now? Paris has taken the initiative in proposing more political integration for the eurozone. The plan is commendable but has significant shortcomings too. Judy Asks: Is Now the Time for More European Integration? Every week, a selection of leading experts answer a new question from Judy Dempsey on the foreign and security policy challenges shaping Europe’s role in the world. Europeans must save the euro and, more importantly, draw the consequences of the current crisis. That means preparing for political union. For Greece to transform its economy, the Greek government must start to see Brussels, Paris, and Berlin not as enemies but as partners for change. Despite eurozone leaders reaching a deal with Greece on July 13, Washington and Berlin have two competing economic philosophies about overcoming the Greek economic crisis. Greece’s economic crisis and the war in Ukraine pose similar threats to Europe’s security—threats that most European leaders prefer to ignore.